Barcode labels can provide your small or large business with an easy way to monitor your inventory and track product locations. 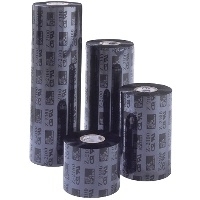 Zebra barcode supplies and ribbons are designed to withstand heavy-duty usage. Zebra barcode solutions provide heat and chemical resistant options and are excellent for test tube and autoclave use. 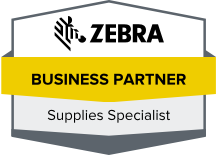 Zebra ribbons are available for desktop and tabletop printer applications. Mobile and specialty printer ribbons are also an option. Zebra manufactures high quality thermal ribbons that can be used to print shipping labels and identification tags in addition to barcodes with different label stock. Barcode ribbons are available for a variety of label types. Wax ribbons are designed for use on coated or uncoated paper. Wax and resin combination ribbons work well for matte synthetic applications. Resin ribbon produces excellent results on gloss synthetics. High speed and premium performance versions are also available. Tri-State Business Systems can help you will all of your other bar coding supply needs as well. In addition to ribbons and barcode labels, you can find the software, barcode scanner and printers to help you get the job done. Specialists are ready to assist you in finding the best products for your individual needs. Training is available for you and your employees. You can also count on fast shipping to prevent lost job time. Contact us to learn more about Zabra ribbons and place you order today.